The list of things you need to get done when you have a newborn on the way or one who has just arrived can seem endless, especially when you are trying to accomplish everything on the list while taking care of your child. Most babies start crawling around 8 months, and sometimes sooner. It is very important to make sure that your home is prepared for when your child becomes mobile. You are already going to have enough on your plate with your new baby, so here are 5 ways that we will be able to help you baby proof your home. When your baby becomes mobile, they are going to want to explore everywhere. It is extremely important to make sure that they are unable to access certain parts of the home like stairs, garages, or the front or back porch to your home. By installing safety gates, you can make sure that these dangerous areas of your home are off limits to your child, and will help reduce the risk of your child getting somewhere they aren’t supposed to be and hurting themselves. Shortly after babies begin to crawl, they can also begin to reach and grasp. This can be a serious risk if you have top heavy furniture such as bookcases and shelving units. You can help prevent this by making sure to store any heavy items on the bottom shelves or drawers, and we can help by making sure they are anchored into the wall to secure them in place and prevent tipping. You can be guaranteed that anything low enough for a child to reach is going to be reached for. This can be especially dangerous when things low enough for them to get to include chemical storage cabinets and the like. By having safety latches installed on your drawers and cabinets, you eliminate the risk of your children getting into your floor cabinets and pulling out cookware or cleaning chemicals, and by making sure they stay closed, you also eliminate the risk of your child shutting their fingers inside or using them to climb. Let us be the handyman to protect your child. Babies are fascinated by water, and when your child reaches the point where they are able to stand or pull themselves to a standing position, and open toilet can suddenly become a serious drowning hazard. Babies are more top-heavy than an older child or an adult, and if they manage to get over the lip of the toilet bowl, they won’t be able to get out on their own. By having a toilet lid lock installed, you can make sure your baby doesn’t have access to the toilet until it’s time for potty training. If you have low windows in your home, it is extremely important to invest in window guards. Babies can become expert climbers before long at all, and if your windows are open, or just aren’t strong enough to support the weight of your child leaning against them, a screen isn’t going to be of much help. Having window guards installed on the windows of your home are the perfect solution if you have low windows in your home or you live on an elevated story. 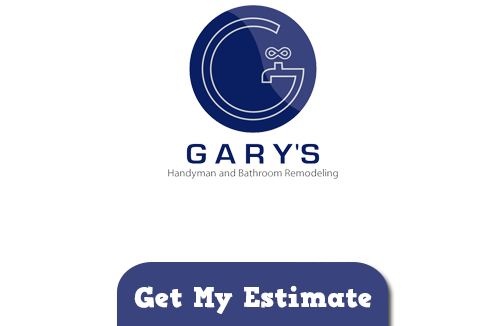 If you need tips or help with baby-proofing your home, don’t hesitate to contact or call Gary’s Home and Bathroom Remodeling today.